This professional Yoga Therapy Training Program brings you the most effective aspects of traditional yoga and ayurveda combined with modern medicine. Specific guidelines for different conditions and general treatment principles will be detailed, empowering you to safely and effectively address disabilities and ill health, through yoga. The program is delivered in 7 intensive modules (5 days for each module) with a flexible structure, enabling you to start the program with any of the first six modules. Modules may be attended independently, depending on your interest and a certificate is issued for each. Modules are spaced approximately 6 months apart to allow time for integration of the material through personal practice and work with yoga therapy clients. Every module aims to help you begin applying what you have learned. Opportunities for specialised studies (e.g. in-depth consideration of particular body systems, ayurveda, etc. will also be offered). Please click on the accordions below to see the content of each module. Dates, location and cost are shown at the bottom of the page. This video was taken during Module 6 (Stress & Anxiety), held in Auckland December 2017 – practising strength & empowerment! Functional therapeutic anatomy of the lumbar spine, hips, knees, feet. What anatomy matters? Observation, palpation and assessment of structure & function. Making structure & function practical. Function-oriented approach to the loco-motor system as applied to the above ares, The heart of practical teaching. What a yoga teacher needs to know about modern medical treatments available and the role of surgery. Neurobiological and systems perspective of dysfunction and pain as a complex output of the nervous system and other organ systems rather than a mechanical phenomenon, and how a holistic yoga approach helps to deal with it. Functional therapeutic anatomy of the thoracic spine, neck, shoulders, elbow, wrist, hand. What anatomy matters? Observation, palpation and assessment of structure & function. Making structure & function practical. Progressively sequencing the breath for students in steps, from breath awareness all the way to the bandhas. Developing inhale based and exhale based practices. Determining a good working length of breath, and developing a longer breath and personalised breathing ratios intelligently. Functional anatomy and use of bandhas as therapeutic tools. Application of relevant traditional yoga concepts. Functional organisation of the nervous system and presentation of failure. Movement disorders and balance problems. with a focus on ageing and Parkinsonism, and discussion of stroke. Linking emotional content to breath especially in areas of dysfunction. Yogasutra on pranayama: key concepts and their application. Types of pranayama from hatha yoga texts and their application. Selecting pranayama based on the individual. Guidelines for easy therapeutic pranayama in practice. Using the ayurvedic lens to see trajectories and patterns of ill-health. Diet and lifestyle changes for auto-immune, hormonal and other metabolic disorders. Commonly used ayurvedic herbs for neurological, auto-immune, and hormonal problems. Module 5: Yogic Mindfulness, Reflection, Depression & Addictions (tamas) : next dates to be announced. Structure and importance of vrtti-samskara (conscious-behaviour-consequence-unconscious) cycle. Foundation of the three gunas (sattva, rajas, tamas) as determinants of mood and behavioural states. Flow states (samadhi) of awareness and their role in psychological well-being. Keys to cultivating flow states in asana, meditation, daily life. Guided self-reflection (svadhyaya) and perspective reframing from the yogasutras. Strategies for working with cognitive distortions from the yoga perspective. Managing teacher-student, therapist-client relationship. Scope of the practice for yoga teacher/therapist. Networking and support requirements for safety and effectiveness. Perspective of ayurveda and use ayurveda herbs as relevant. Module 6: Relaxation, Mantra, Positive Psychology, Embodiment, Stress & Trauma (ragas): next dates to be announced. Embodiment / Body-Mind connection and its importance for well-being. Neuroscience of embodiment and its impact on well-being. The three gunas (sattva, rajas, tamas) as determinants of mood and behavioural states. Eustress vs when stress becomes damaging, and effects of chronic stress. How to recognise and unwind these states in yoga practices. Breathing skills: slow breathing, exhale focus etc. Role of meaning / connection and isvara pranidhana in psychological transformation.Introduction to devotion related practices. A nonrefundable deposit if $100 is required to secure your place in the program. No refund of the balance (after non-refundable deposit) for cancellations within one month of the program start. 50% refund of balance if cancelled prior to one month of the program start. Full payment is due 2 weeks prior to commencement ofthe program. See below for link to pay via Paypal or use our contact form to email Barbara for bank account details. Module 7 is the completion module for the 300-hour training. It is open only to those who have attended at least two other modules. In this module, we will cover disorders that involve skills spanning the body-mind and lifestyle spectrum, such as cancer, end of life, diabetes etc. We will also look at case studies as appropriate and discuss the integration and holistic approach to using all the skills of yoga. Combing traditional yoga with a wide spectrum of modern medicine (general medicine, rehabilitation, psychiatry), complementary medicine (movement therapies, myofascial work, herbs), and ayurveda wherever relevant. The modular approach, combined with an emphasis on mainstream acceptability, means you can integrate these skills easily with other studies, as well as build upon them. A non-refundable deposit if $100 is required to secure your place in the program. This program will sell out quickly, please register early to secure your place. 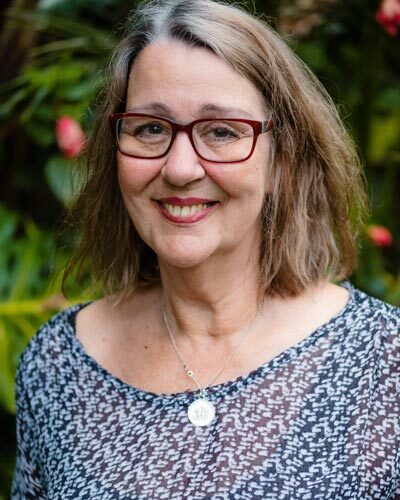 Barbara has studied Yoga Therapy intensively [since 2010] and continues to be mentored by Dr Ganesh Mohan, the developer and Director of this program.. Barbara is a certified Yoga Therapist both with the International Association of Yoga Therapists and Yoga Australia. As well as teaching small, personalised yoga for health classes, Barbara also works one-to-one with students wishing to improve their physical & emotional health and teaches small group yoga therapy classes for students facing similar health challenges. She presents workshops and Professional Development programs in the area of yoga therapeutics and also leads the Yoga for Svastha: Teacher Training & Personal Wellbeing Program in New Zealand. Dr. Ganesh Mohan is a physician trained in both conventional medicine and ayurveda. He is the son of A. G. Mohan, who was a personal student of Krishnamacharya for 18 years from 1971 to 1989, and Indra Mohan. He is the co-author of the Mohans’ book Yoga Therapy (Shambala Publications 2004) and Krishnamacharya: His Life and Teachings (Shambala Publications, 2010). Ganesh is an advisor to the International Association of Yoga Therapists in the USA and the Australian Association of Yoga Therapists. 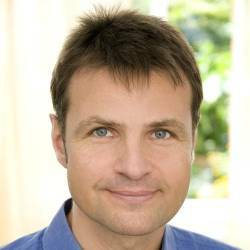 Dr. Günter Niessen is a specialist in orthopedic and trauma surgery with a practice in Berlin. His previous training includes physical therapy, chiropractic, sports medicine, manual medicine, neural therapy, and acupuncture. He is a yoga teacher registered with the BDY/EYU. I feel very privileged to have completed the Svastha Yoga Therapy training with Dr Ganesh Mohan and cannot recommend this course highly enough. Ganesh’s breadth and depth of knowledge is extensive. 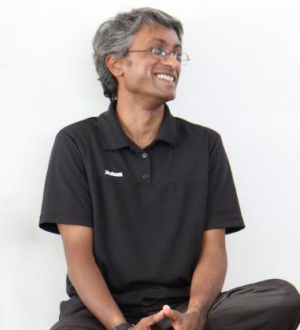 Drawing on his training as a Western medical doctor as well as an ayurvedic practitioner, he offers a very balanced and common sense approach to yoga therapy. His knowledge of anatomy and physiology, pharmacology, ayurveda, psychology and yoga philosophy, including an in-depth understanding of the yoga sutras make this training, in my opinion, one of a kind. We are given an understanding of the physiology and usual medical treatment for any condition, which I found invaluable because the yoga therapist usually works alongside other practitioners. Then we explore the range of techniques used by the yoga therapist to further assist the patient. This gives a consolidated approach to the patient’s treatment. I also found the structure of the course very logical and easy to understand.